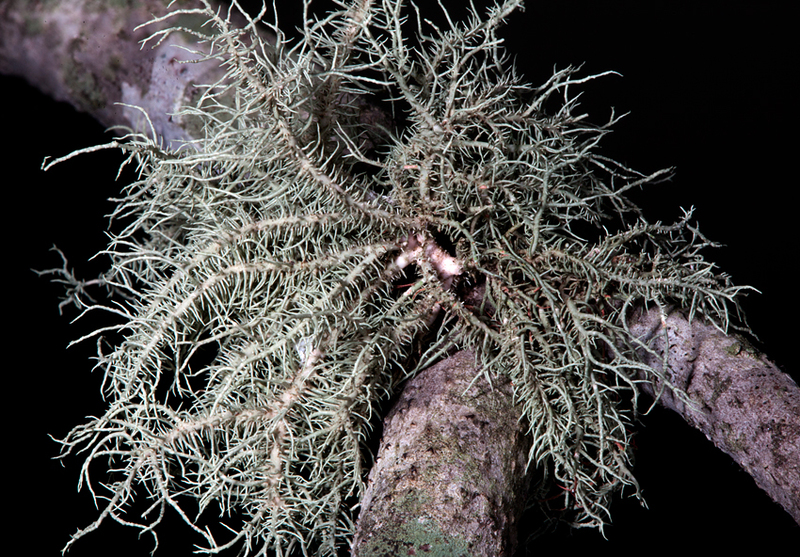 While clearing fallen limbs at Mom's I came across this fuzzy little lichen, Ramalina farinacea. This is a composite photo of ten images stacked to increase the depth of focus. Field of view width is ~1.5 inches. 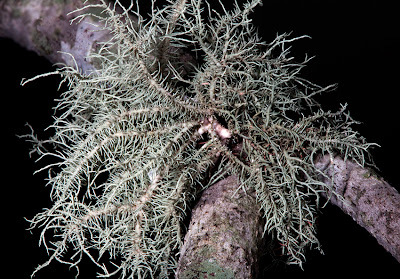 Lichens always remind me of the soft and subtle green earths. I like today's post on many levels- firstly I really love lichens and the delicate greens are among my favorite colors; secondly the photographic artistry behind creating the amazing depth of field in your top photograph is fabulous, to say the least- it is a gorgeous photo! And I honestly cannot tell you why seeing the natural green earth pigment alongside the lichen appeals to me so much- but it DOES! Perhaps because there's already a story to be told; from the the history of the pigment itself to the promise of a work that has yet to be created. 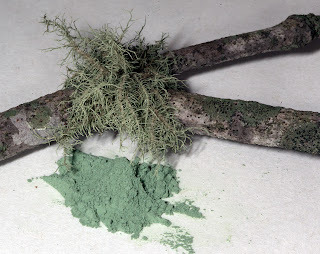 The green earths are some of my favorite pigments. I find that on their own they often seem too delicate (transparent) but with the addition of just a bit of white for opacity that they create a presence.